Figurative Painting – The vibrant acrylic colors put you in the same joyful mood the expressive figures are in. Born in Atlanta, Georgia, Gay exhibited a deep interest in art and showed great talent from an early age. A graduate of the Art Institute of Atlanta, Gay studied graphic design and fashion. After college, the artist worked in the fields of graphic design and education. While interesting, these jobs left her true passion for self-expression unfulfilled and she was encouraged by a fellow artist/mentor to make the transition into fine art. Her creative juices have been flowing ever since. 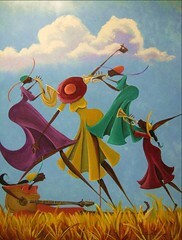 The use of vibrant acrylic colors put you in the same joyful mood the expressive figures are in. Being a Georgia Peach much of her perspectives on life revolve around Southern Traditions. She remembers, singing in church, playing in fields, fish fry’s, Easter Sunday hats and old 45 records. 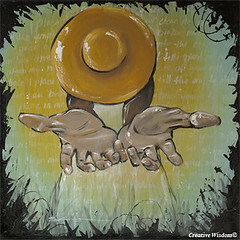 Her paintings reflect the themes of spirituality, love, family, music and dance. The artist’s work has been featured in a number of exhibitions, functions and festival which include Gallery 253, Art on 5, Emory University, StudioPlex, Uspace Gallery (represented by Terence Jackson), Fay Gold Gallery, Atlanta Jazz Festival, Black Arts Festival to name a few. She was the selected artist for Boostmobile RockCorps in 2007 for several beautification projects all around Atlanta. Her artwork has been purchased by actor Samuel L. Jackson, singer/ song writer Leon Russell, Director of the Jazz Festival Camille Russell Love, City Councilman Kwanzaa Hall and the Chattanooga African American Museum. Gay strives to capture the hospitality, dignity, morals and the piece/ peace of her southern upbringing in each visual composition, with hopes that the viewer will be there with her. Shanequa currently resides in Atlanta, Georgia, she is the proud mother of son Yasir Shakur. 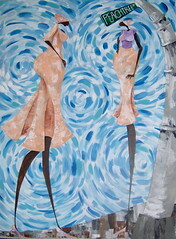 Gay is a student at SCAD in Atlanta on an artistic scholarship with a focus in studio painting.